Students will rehearse and perform a mini-production of “Rumpus in the Rainforest.” Frog desperately wants to get off the jungle floor and see the sky – but who will help him climb above the canopy? Take a tour of the various levels of the jungle and learn more about the importance of the rainforest. 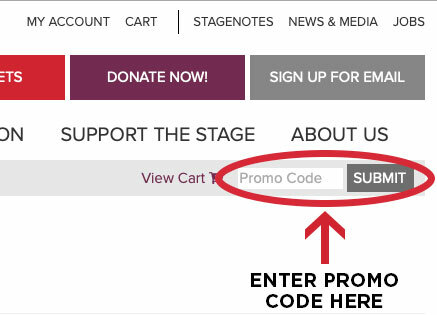 Students will gain valuable techniques and skills for preparing for an audition, including monologues, cold readings and musical theatre requirements. Students will get pointers on how to make the most of their audition time, practice text analysis tricks to help them make clear acting choices, and learn quick dance combination basics that will give them confidence to tackle a musical theatre audition. The course will end with a mock audition and feedback for each individual student. 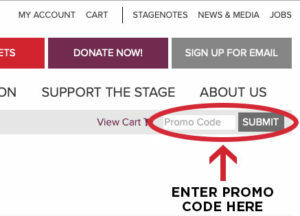 Come work with the talented Daisy Infantas – who has appeared in Hartford Stage productions of Breakdancing Shakespeare and Comedy of Errors - in this exciting master class! This class is perfect for students who wish to hone their skills in preparation for the upcoming audition for this summer’s Breakdancing Shakespeare production, or to simply have fun trying something new! All experience levels welcome. Located right on the Avon/Simsbury Line! Using well-known children’s literature, such as Swimmy and Rainbow Fish, students will recreate stories that take place under the sea while exploring life in the deep blue. Payment plans and scholarships available. Please contact us for details. Teens will have the opportunity to rehearse and perform in a full production of Once Upon a Mattress, which will be performed at Hartford Stage in downtown Hartford. Students will spend time rehearsing and taking part in enriching theatre craft classes. Auditions for roles will take place prior to the start of the program. Students involved will also work as mentors for our littlest students as a leadership- building component of the program. Students are cast in either a musical or non-musical production. Students spend mornings rehearsing and afternoons exploring elective classes of their choice. Once a week, the Youth Ensemble enjoys a field trip together. Students are cast in a musical production. Students will split their time between rehearsing and taking part in classes in acting, movement and other theatre skills. Once a week, the Junior Troupe enjoys a field trip together. Students will take classes in story theatre, creative movement, music, puppetry, and arts and crafts, and go on a weekly field trip. Each session ends in a mini-production that the cast creates based on favorite stories and characters. Young actors will hone their skills as they training in the basics of acting and improvisation and work toward a one-act production of MGTV (Mother Goose TV). Close out the summer with drama and fun! Students will explore literature from summer reading lists through acting, musical theatre, creative movement and arts and crafts. Ages 3-5 * Please note: our Day Dreamers Program is for Pre K students only. Students must be potty-trained. Our youngest artists will enjoy a half-day of creative movement, music, story theatre, and puppet play! 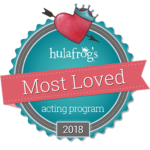 Education at Hartford Stage was voted 2018 Most Loved Acting Studio by Hulafrog!